Some friends and myself raced this last week for the first time. 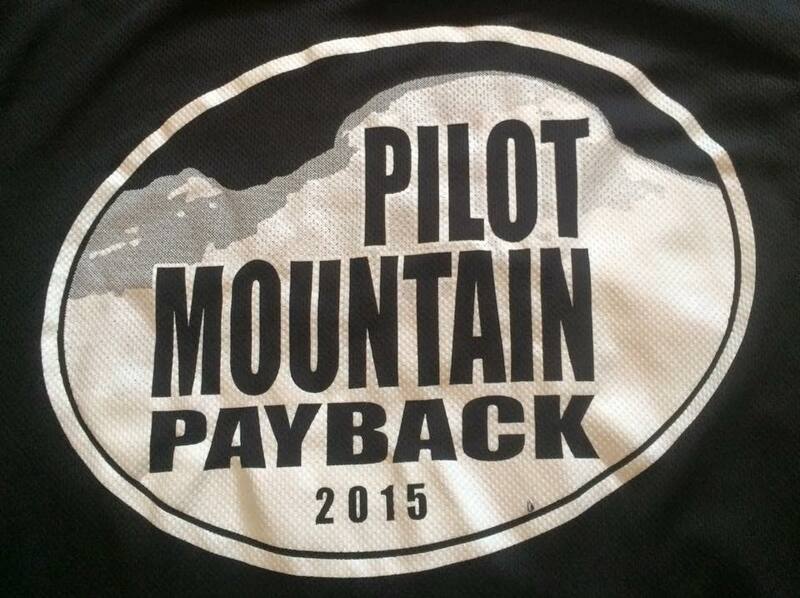 This race is run at Pilot Mountain, which is around 2 hours south of Roanoke. 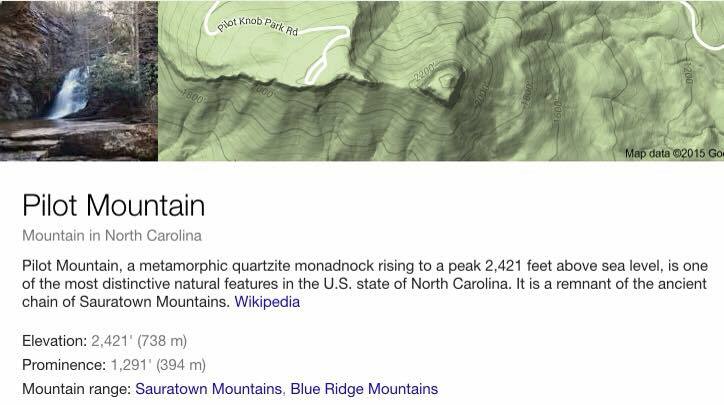 It is near Mount Airy, NC and just off I-77. 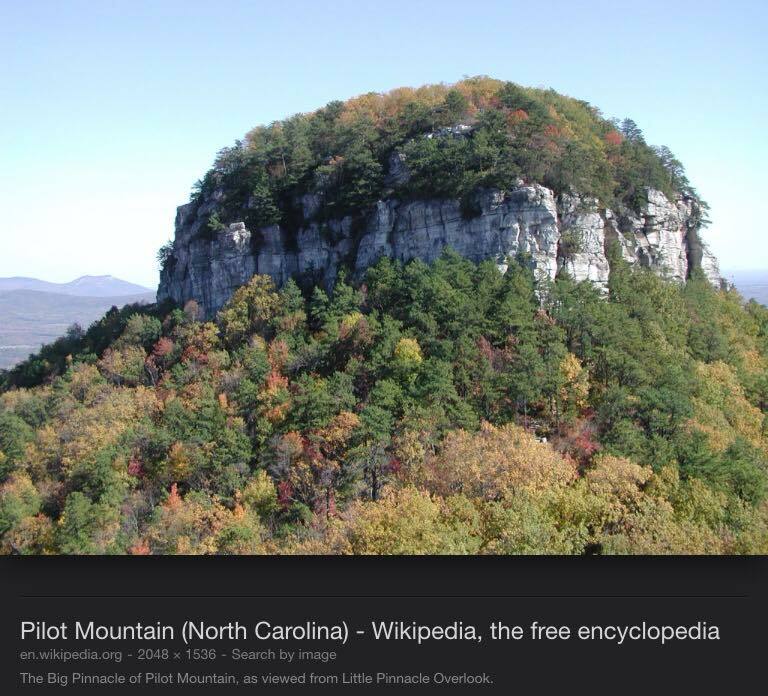 Pilot mountain has a very unique looking mountain top. The mountain itself makes the race very appealing. This is the website of the group that runs it: http://ultimateracemanagement.com, but the registration this year was on this website: http://www.itsyourrace.com/event.aspx?id=273. The race has 2 options. The full is 24 miles. The “heavy half” is 15 miles. The organization of the race was pretty poor in general. The website and the registration site had 2 different starting times listed. One said an 8am start time, the other said a 9am start time. The race director is horrible about answering emails or phone calls. I had registered for this race last year, but it was moved to a different date, due to snow. They had said that I could transfer my registration to either the rescheduled race or the race this year. I chose to move it to this year. I kept emailing and calling the race director to verify that I was in and to put my name on the list, but he was not replying. I worded the title of the next email in a way that demanded an answer. He finally answered. The exact address of where the race started was not posted until 1 or 2 days before the race. Before that the address very vaguely. The mileage was not listed on the website. It just said marathon and heavy half. We got to the race on race day and we were not on the participant list. The so called race director was not there, but the people were very nice and put us in the race. Now that I have told you the bad parts, the rest of it was great. I liked the course. It was well marked. Most of the aid stations were not manned. Most were just a cooler with cups for self service. I was ok with this. There were a couple manned aid stations with food. The volunteers were doing a great job. The race started at Horne Creek Farm, which is near Pilot Mountain State Park in Pinnacle, NC. With that being said, I think the beginning and ending may change some, based on the weather and what the state park has going on. The race is an out and back. The course goes around 8 miles on rolling small hilly trail, then up the mountain, to the top, then back on the same trail. The first and last mile or so was road. The bridle trail was the the next 6 miles, after the road. 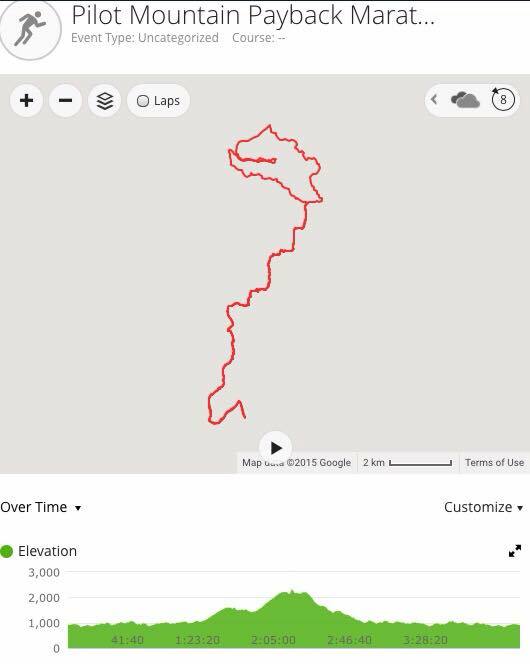 It was similar to Chestnut Ridge Trail or Four Gorge at Carvins Cove, except it was a “tamer” version of those. Not as much climbing, the trail was smoother, and it was a much wider trail. I thought it was a great trail. It was easier to pass people, if you need to. There are a few creek crossings and at least one of them was fairly wide and deep. The half marathon goes 7.5 miles on the bridle trail. You turn around at a gravel parking lot and go back the way you came. The marathoners head on toward Pilot Mountain. I could see Pilot Mountain from the half marathon trail. It was beautiful. It made me wish I had done the full. My legs were so tired from doing a 50K the Saturday before this. I was zapped at mile 8 or so. I trudged to the finish. I would do this race again, but I would definitely do the full. Friends that also raced this were as follows: Rebecca and Jonathan Adcock, Karen Dillon, Sara Martin, Robert Drinkwater and HT Page. This was Sara’s first marathon! I was excited for her. She ended up winning it! She passed 2 men near the end. Phenomenal. Robert wasn’t far behind her and ended up fourth. Great job to them. HT was second overall in the half. Karen did great in the half as well. The Adcocks took their time on the full and enjoyed it. 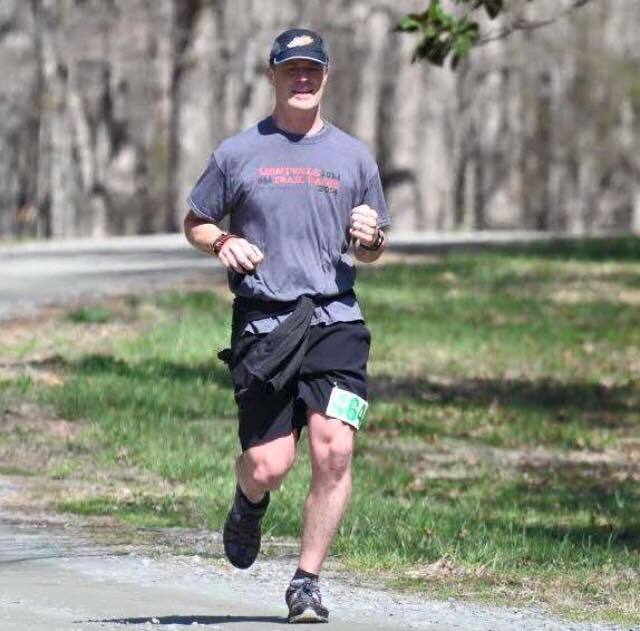 Categories: adventure, get outside, Running, Trail racing, Trail running | Tags: adventure, get outside, half marathon, mount airy, north carolina, pilot mountain payback, running, trailrace, ultramarathon | Permalink. This blog is all about running adventures for now, but that could change at any time.